An adaptation of David Ebershoff’s 2000 novel of the same name, The Danish Girl tells the story of Lili Elbe, one of the first know people to undergo gender reassignment surgery. It is 1926 and Lili, born Einar Wegener (Redmayne), is a landscape painter married to portrait artist Gerda (Vikander). When a model is late, Gerda has Einar stand in for her, wearing the model’s stockings and shoes. This unlocks Einar’s lifelong identification as female, and he begins to cultivate the persona of “Lili”. Gerda’s portraits of Lili attract the attention of the art world and she is invited to stage an exhibition in Paris, and Gerda tracks down art dealer Hans Axgil (Schoenaerts), a childhood friend of Einar’s. Hans’ attraction to Gerda establishes a complicated love triangle as Gerda struggles in supporting Einar’s transition into a woman. Eventually, Lili and Gerda seek the help of Dr. Wanerkos (Koch), who performs a two-part sexual reassignment surgery that is unprecedented and risky but is Lili’s only hope. Playwright Lucinda Coxon adapted The Danish Girl and the screenplay made the rounds for a decade before the film finally got made. The subject matter made it something of a hard sell, with Charlize Theron, then Gwyneth Paltrow attached to the role of Gerda opposite Nicole Kidman as Einar/Lili. Tomas Alfredson was initially set to direct, then was replaced with Lasse Hallström before that incarnation fell through. Director Tom Hooper of The King’s Speech and Les Misérables brings an awards contender pedigree to the project – it’s a bonus that star Redmayne is fresh off his Oscar win for The Theory of Everything. The film may be called “The Danish Girl”, but just as there was nary a French accent in earshot in Les Misérables, everyone in this movie sounds very English indeed. It can be seen as pandering to Academy voters, who seem to equate Englishness with prestige. 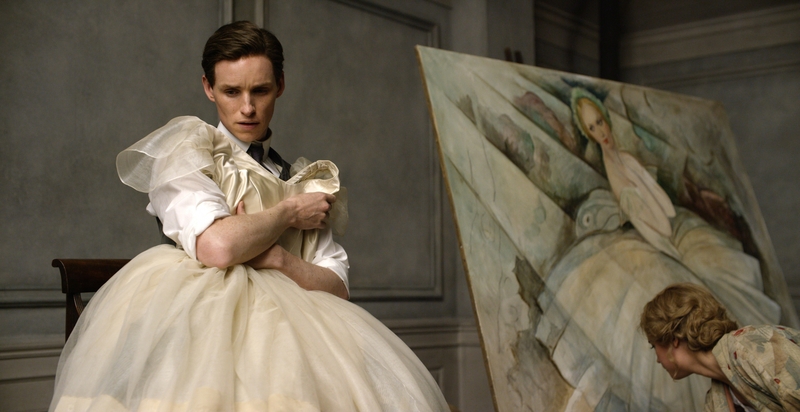 While first stepping out in public as Lili, Einar worriedly asks his wife “am I pretty enough?” The Danish Girl is a film that does seem to be worried it isn’t pretty enough in a self-conscious manner, but cinematographer Danny Cohen, costume designer Paco Delgado and production designer Eve Stewart, all Hooper’s collaborators from Les Mis, ensure it is quite the pretty movie to look at. Any way one slices it, there was always going to be controversy surrounding the film, and it is incredibly difficult to appease everyone where the hot-button issue of gender identity is concerned. In a way, the period setting is a costume that lends a non-traditional story a more familiar guise, all of this prestige picture classiness a way in for audiences who might otherwise be clutching their pearls at the thought of a movie about a transgender woman. The hype surrounding Redmayne’s portrayal is worth buying into, because this is an excellent, soul-baring performance. Lili’s emotional journey in coming to terms with her gender identity is eloquently conveyed by Redmayne. When the film is in danger of getting swallowed up by the larger issues at play, his portrayal pulls it back to a remarkably humane sensitivity. Vikander is just as worthy of praise and there is a good deal for her to sink her teeth into with the role of Gerda. This is a woman who sees the man she fell in love with slowly vanish, but her selfless love for him makes her want to see her husband arrive at a place where he is happy and comfortable with himself. Vikander’s performance is at once raw and measured, and if there was any doubt that she is 2015’s biggest breakout star, The Danish Girl erases said doubt once and for all. 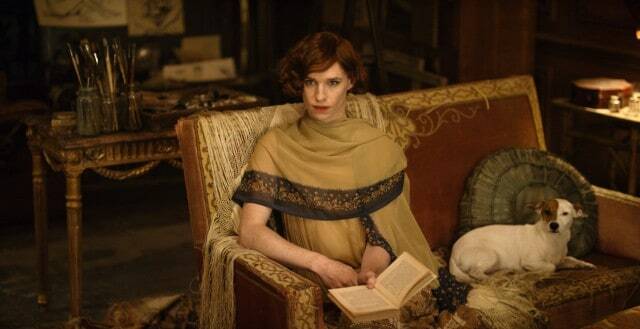 The Danish Girl is based on a fictionalised account of Lili’s life, with most of the characters besides Lili and Gerda created from whole cloth by Ebershoff. As such, both Whishaw and Schoenaerts can sometimes feel like hangers-on in the proceedings, but in addition to Gerda, their characters reinforce just how vital the support of a loved one is in undergoing a transition. 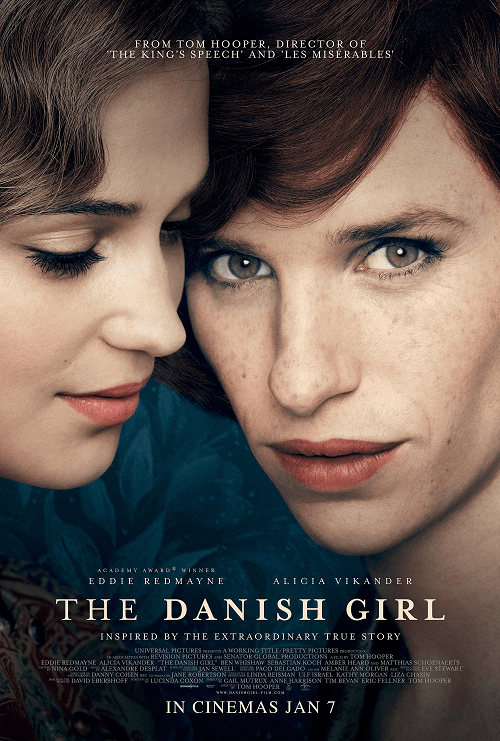 The Danish Girl does over-romanticise and simplify Lili’s story a fair bit, side-stepping Gerda’s possible bisexuality and the eventual dissolution of Lili and Gerda’s relationship. The final scene also contains a visual metaphor that is heavy-handed in quite the cringe-worthy manner. However, Lili’s story is an important one to tell and there is considerable talent behind this biopic. The more jaded might dismiss this out of hand as shameless awards bait and it does possess those elements, but above and beyond all that, the genuine emotional resonance of the story rings true. Summary: While not as challenging and in-depth an exploration of Lili Elbe’s life and times as it could have been, powerful performances and technical polish make this a worthwhile telling of a moving story.